Marybank is one of Nelsons most northerly suburbs, skirting the coastline inside the tidal estuary and home to Clifton Terrace Primary School. 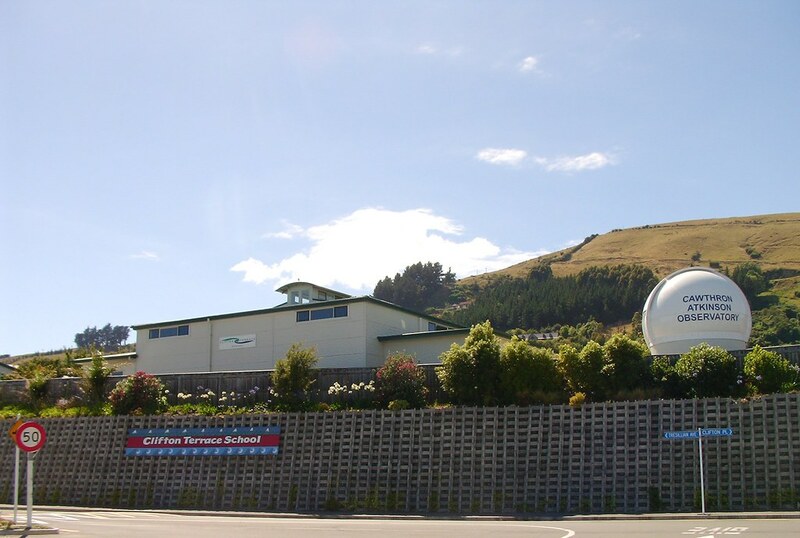 Since 2008 the school grounds are also home to a recent addition, the Atkinson Cawthron Observatory [as in the photo]. There are many elevated properties out here and it’s popular with those desiring to be out of town, still on the outskirts, but less than a 5-6 minute drive away from the town centre. If you did have an elevated property, and living here there’s a good chance you will, then you’ll be able to relax in the evening looking out to Tasman Bay or generally have other sea views. Located here, the sun sets in the West – South West, and therefore those same homes will be able to enjoy fabulous sunsets too. However, reflecting this & numerous other attractive assets, you’ll generally find properties in Marybank are priced higher than in other parts of Nelson, the opportunity to own elevation having a lot to do with that. About 1.4km south of the school turnoff there is a local dairy, takeaway food outlet and hairdresser. These are located at the north-western end where Atawhai Cresent meets Dodson Valley Rd. Off street parking is provided here. Presently “The Bus” is the main form of public transport to & from Marybank / Atawhai area. The Bus goes as far north as Clifton Terrace. and has a regular route that generally consists of about 7-8 trips a day on its current schedule. 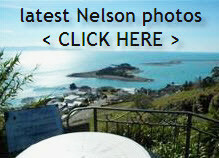 There is the local takeaway in Atawhai as mentioned above, however just a 2 minute drive away in Nelson you’re spoilt for choice with a wonderful selection of restaurants sure to please all tastes. There you will discover nearly 40 restaurants featuring Indian, Turkish, Thai, Chinese, Japanese, Italian, Greek, Mexican, Brewery Cafes, specialist seafood, pizzerias, local & regional faire, hotel dining, alongside plenty of cafes.